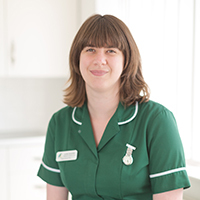 Lynda studied at Sparsholt College in Hampshire, qualifying as a Veterinary Nurse in 2009. She moved to Norwich in 2010 and has worked at the Hall Road practice since then. She enjoys Nurse clinics and in her free time likes to visit her local RSPB reserve.